The Gentle Procedures circumcision clinic in Ottawa/Gatineau offers circumcision for all ages with the Pollock Technique™. Appointments are generally available fast and infant circumcision procedures are performed in just a few minutes at our Gatineau clinic location. Our clinic specializes in virtually painless Pollock Technique™ circumcision for babies, boys, teens, and adult men. Our focus on circumcision in a dedicated clinic setting permits us to deliver the best possible circumcision experience for your son and your family (or for yourself in the case of an adult circumcision). Please send your enquiry with our Contact form, or go ahead and request an appointment now if ready. Call us anytime at 343-777-0440 with questions or to schedule an appointment. Doctor Mohamed Slim, MD is a well known and respected physician with many years of experience, and he has performed over 8,000 circumcisions to date in his medical career. Dr. 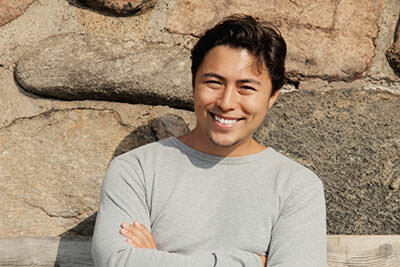 Slim completed his medical training at the Université de Montreal and has been a family medicine resident at the Hôpital Sacré-Coeur de Montréal. He has gained his extensive experience in circumcision practicing in Montreal as well as here in Ottawa. After his research on circumcision methods in use today in Canada and around the world, Doctor Slim chose to have extensive training with Doctor Neil Pollock, one of the world’s foremost authorities on circumcision. Dr. Pollock’s research into developing a quick and virtually pain free approach to circumcision has been recognized in the UK and Australia, as well as here in North America. Dr. Slim is proud to bring Dr. Pollock’s techniques to the Capital Region, and his clinic has grown enormously as a result. 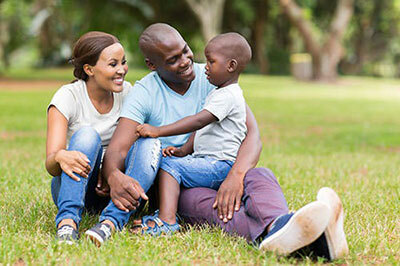 Parents are relieved to have a virtually pain-free option for the circumcision of their baby boys, and older boys and adult men are also well served by the availability of Pollock Technique™ circumcision in Ottawa. Performing circumcision procedures for adults, boys, and babies is part of Dr. Slim’s daily routine. His circumcision practice is supported by a qualified and experienced team, and a group of very friendly highly skilled staff to keep our busy clinic running smoothly. Gentle Procedures Clinic specializes in a virtually painless circumcision operation for baby boys, older boys, teens and adult men. Our clients come from all because our circumcision procedure is felt by many to be the best option for getting a circumcision done at any age. Our team of dedicated medical professionals understands the concerns of parents for their babies, as well as the situation of newborns being integrated into family life. We do our best to provide a private and personalized experience for our clients. Adult men are also an important client group at our Ottawa/Gatineau circumcision clinics – because there are few facilities with the level of focus, expertise, and experience that Gentle Procedures brings to adult circumcision. Our in-office procedure under local anaesthetic is the most convenient adult circumcision available in Canada (or anywhere), and offers excellent cosmetic results. Our doctor and staff are happy to assist you with any questions or concerns that you may have, and are available by phone, or by booking a consultation. The clinic generally has appointments available within a few days and you can request an appointment now if desired. Why Gentle Procedures Clinic for Ottawa Baby Circumcision? At Gentle Procedures, your baby’s well being is very important to us. We want to provide an atmosphere that is warm, inviting, and stress-free for you and your family. 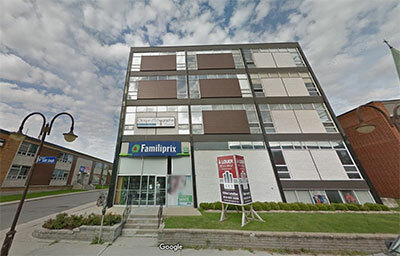 At our Ottawa clinic on Bank Street families are greeted in a friendly, professional manner. 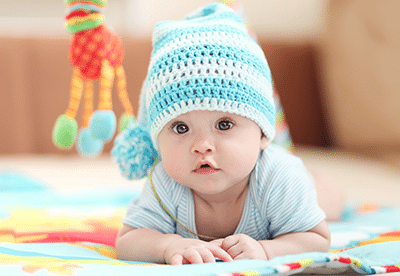 At Gentle Procedures Clinic, we want to create a comfortable atmosphere that caters to your baby’s needs. We pride ourselves in providing a unique, personal, family service. After the circumcision, Doctor Slim will follow up to check up on your baby’s progress and to answer any questions that the parents may have. A follow-up appointment and printed aftercare instructions will be given to families as part of our circumcision protocols. 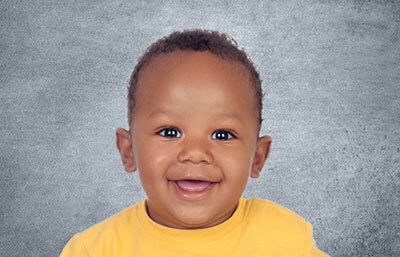 Let us provide the very best medical services for you and your baby in a caring environment. We believe that there is nothing better for ensuring a baby’s comfort than the presence of a parent. Your baby is always with you, and you are welcome and encouraged to be in the private room during the procedure. Parents are never asked to wait in another room while the circumcision is being done. Soft music is played creating a calm, relaxing environment for your baby. Babies, if they remain awake during the procedure, are soothed by a pacifier made up of natural ingredients. At Gentle Procedures, it is not uncommon for babies to sleep right through their circumcision. We really are gentle. Why Gentle Procedures for an Adult Circumcision in Ottawa? Whatever the reason a mature man seeks to get circumcised (at any age), we are pleased to offer the adult circumcision care at Gentle Procedures Ottawa circumcision clinic. Our circumcision doctor performs adult circumcision on a daily basis and our proven Pollock Technique™™ is known to deliver the desired cosmetic results with the minimum of discomfort. Importantly – a general anaesthetic is not required – and this significantly reduces the risk and complexity of the procedure. With the use of multiple local anaesthetic only, we eliminate the need for a hospital setting and are able to perform the circumcision procedure for adult age males in our circumcision clinic on an in-office-procedure basis. If you are considering getting yourself circumcised, please contact us for a consultation. We recommend a consultation appointment with Doctor Slim prior to your final decision on whether you want to get circumcised so that you can get answers to your specific questions. Each year, there are millions of circumcisions performed in worldwide. Newborn circumcision, when performed properly, is quick and safe. The medical benefits accrue from infancy through old age. It is Dr. Slim’s position that when parents are making a decision about circumcision they should be advised of the present state of medical knowledge about its benefits and harms. The parental decision may ultimately be based on personal, religious or cultural factors. For more information on the risks and benefits of circumcision, please visit our Media page to find links to original policy statements and studies – including a 2016 paper published in the Journal of Urology which concludes that the benefits of circumcision may have been previously understated. The authors (including Dr. Neil Pollock) find that circumcision affords important benefits to men throughout their lives. Why Are Ottawa Doctors Recommending Our Circumcision Clinic? The Gentle Procedures Clinic is a highly referred to Circumcision Clinic in Ottawa. Our Ottawa clinic is often recommended by family physicians because of the speedy and relatively pain free nature of our chosen Pollock Technique™. Our Doctor and staff are also renowned for their caring approach and our focus on quality of care. Doctor Mohamed Slim uses a method of circumcision which is relatively quick, only taking less than a minute for infants and toddlers. Hospital circumcisions can take up to 10 times as long. Our clinic uses comprehensive pain control methods which include paracetamol along with a sugar solution (which reduces pain perceptions in infants), a topical cream to numb the area, and a local anaesthetic injection. Our method has low complication rates. Our circumcision procedures are done quickly in a clinic setting, eliminating the need for hospital visits and general anaesthetic. Contact us today for more information regarding circumcision or to book your consultation. Adult circumcision is one of our specialties. Why do Ontario parents choose to circumcise their sons? Our Muslim clients circumcise their babies in accordance with their traditions, and many other families simply choose to carry on a family tradition, or seek the health benefits that may come from male circumcision. It reduces the risk of penile cancer and cervical cancer in a man’s female partners. Why do some Ottawa parents choose not to circumcise their sons? Does our procedure fulfill the requirements of Muslim circumcision? It appears that our Muslim clients find the virtually painless Pollock Technique™ circumcision a satisfactory procedure for their sons. The Canadian Paediatric Society’s position is that the benefits of removing a baby’s foreskin do not generally outweigh the risks. The consent of both parents should be obtained for a circumcision carried out for religious or cultural reasons and Canadian doctors can choose whether or not to offer circumcision as a non-therapeutic procedure. In 2012, the American Academy of Paediatrics issued a statement that the health benefits of circumcision outweighed the risks. Thus, circumcision for your son is a personal decision that you must make with your partner after weighing the benefits and risks and often involves religious or cultural preferences as well. For adults, it is a personal decision based on personal, cosmetic or health reasons. Circumcision has been the topic of debate for many decades. In the past, procedures were deemed unnecessary and stressful by some, but times have changed. Due to medical advancements, Doctors can now conduct virtually pain free circumcision procedures which are quick, painless, effective and successful and the benefits of circumcision are more widely understood. There are now many significant studies and associated evidence linking circumcision to improved health and lower incidences of serious and deadly diseases. The evidence of the benefits of circumcision, coupled with medical advancements and improved circumcision techniques has resulted in increased public awareness, acceptance and a vast increase in the demand for infant circumcision. The medical team at the Gentle Procedures Clinic only use the Pollock Technique™, which is very quick and virtually pain free and is associated with low complication rates. Our Doctor and staff are all educated and trained in the procedure and benefits of circumcision, and are dedicated to making your experience with us as pleasant as possible. There are some potential health benefits to male infant circumcision and there are also some reasons not to circumcise baby boys. Our recommendation is that you make an informed a decision as possible, and the answer to the question of why to circumcise that you come to will be unique to you and your family. Many men are circumcised, as infant circumcision was routinely done on male babies in the 1970’s for health reasons. Post-circumcision follow-up to quickly spot any issues. Why Our Ottawa Circumcision Centre? Choose our Ottawa circumcision centre, where you can be assured that our seasoned medical team will provide a high level of care and personalized attention.